Nominated books are available at our library. 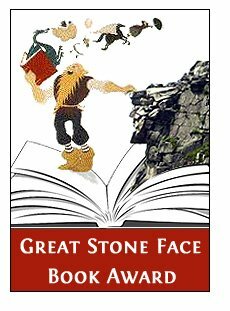 What is the Great Stone Face Book Award? The Great Stone Face Book Award is given annually to an author whose book receives the most votes from 4th through 6th graders throughout the state. In April, N.H. children vote for their favorite book from a list of 20 recently-published titles that are chosen by the Great Stone Face (GSF) Committee. The purpose of the award is to promote reading enjoyment, to increase awareness of contemporary writing, and to allow children to honor their favorite authors. - CLNH. Amazon Summary: "The Five Worlds are on the brink of extinction unless five ancient and mysterious beacons are lit. When war erupts, three unlikely heroes will discover there’s more to themselves—and more to their worlds—than meets the eye. . . . When these three kids are forced to team up on an epic quest, it will take not one, not two, but 5 WORLDS to contain all the magic and adventure!" 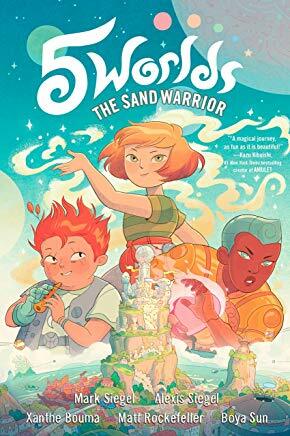 Amazon Summary: "In one of the last cities standing after the world fell to monsters, best friends Zed Kagari and Brock Dunderfel have high hopes for the future. Zed desperately wishes to join the ranks of the Mages Guild, where his status as Freestone's only half elf might finally be an asset. Brock, the roguishly handsome son of merchants, is confident he'll be welcomed into the ranks of the Merchants Guild. 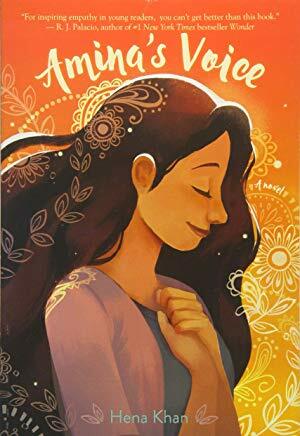 This start of a thrilling new series is sure to be a hit with readers who like their fantasies clever and action-packed, with tons of humor and heart"
Amazon Summary: "A Pakistani-American Muslim girl struggles to stay true to her family’s vibrant culture while simultaneously blending in at school after tragedy strikes her community in this “compassionate, timely novel” (Booklist, starred review) from the award-winning author of It’s Ramadan, Curious George and Golden Domes and Silver Lanterns. Amina has never been comfortable in the spotlight. She is happy just hanging out with her best friend, Soojin. Except now that she’s in middle school everything feels different. Soojin is suddenly hanging out with Emily, one of the “cool” girls in the class, and even talking about changing her name to something more “American.” Does Amina need to start changing too? Or hiding who she is to fit in? While Amina grapples with these questions, she is devastated when her local mosque is vandalized." Amazon Summary: "Fred, Con, Lila, and Max are on their way back to England from Manaus when the plane they’re on crashes and the pilot dies upon landing. For days they survive alone, until Fred finds a map that leads them to a ruined city, and to a secret." 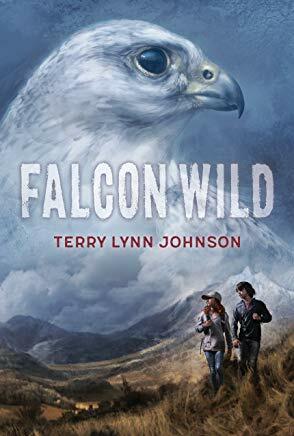 Amazon Summary: "​Thirteen-year-old Karma is desperate to become a certified falconer. At her dad's bird education center, she helps give demonstrations to guests and can fly the birds. But when her favorite rescued falcon, Stark, hurts Karma, her parents insist that they return the bird to its previous owner--in Canada. On the way to bring Stark back, a car accident in the middle of nowhere leaves Karma's dad trapped, and it's up to Karma to find a way to rescue him and her younger brother. When Karma loses her way trying to get help, she crosses paths with Cooper, a troubled teenaged boy. Lost for three days, the two figure out how to survive, and Karma teaches Stark to hunt like an actual bird of prey. Karma may be closer than she thinks to becoming a real falconer and having a real friend." 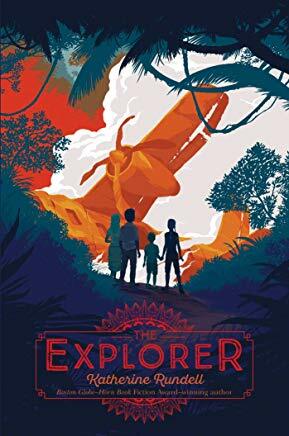 Amazon Summary: "Eleven-year-old Frances is an observer of both nature and people, just like her idol, the anthropologist Margaret Mead. She spends most of her time up on the rocks behind her house in her "rock world," as Alvin, her kindhearted and well-read school bus driver, calls it. It's the one place where Frances can truly be herself, and where she doesn't have to think about her older sister, Christinia, who is growing up and changing in ways that Frances can't understand. 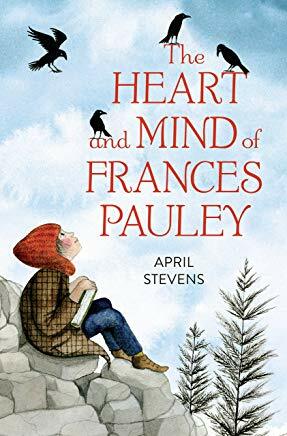 But when the unimaginable happens, Frances slowly discovers that perhaps the world outside her rugged, hidden paradise isn't so bad after all, and that maybe--just maybe--she can find connection and camaraderie with the people who have surrounded her all along." Amazon Summary: "When Alice is suddenly bundled off to her estranged grandmother’s Nell’s house, there’s nothing good about it, except the beautiful Darkling Wood at the end of the garden—but Nell wants to have it cut down. Alice feels at home there, at peace. She even finds a friend, a girl named Flo. But Flo doesn’t go to the local school, and no one in town has heard of her. 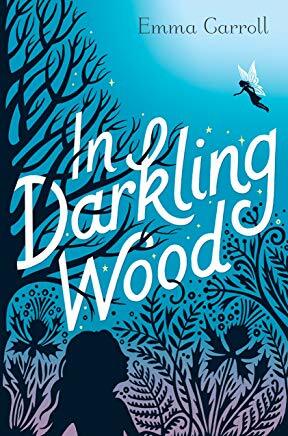 When Flo shows Alice the surprising secrets of Darkling Wood, Alice starts to wonder: what is real? And can she find out in time to save the wood from destruction? ​"
Amazon Summary: "Jake can barely play an instrument, not even a kazoo. And his art? It’s better suited for Pictionary than Picasso. 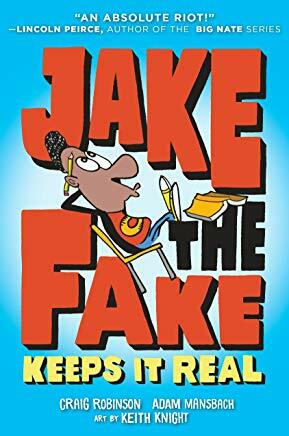 Which is a real problem because Jake just faked his way into the Music and Art Academy for the gifted and talented (and Jake is pretty sure he is neither). More jokester than composer, Jake will have to think of something quick before the last laugh is on him." Amazon Summary: "Sixth grader Alec can’t put a good book down. So when Principal Vance lays down the law—pay attention in class, or else—Alec takes action. He can’t lose all his reading time, so he starts a club. A club he intends to be the only member of. After all, reading isn’t a team sport, and no one would want to join something called the Losers Club, right? But as more and more kids find their way to Alec’s club—including his ex-friend turned bully and the girl Alec is maybe starting to like—Alec notices something. Real life might be messier than his favorite books, but it’s just as interesting." 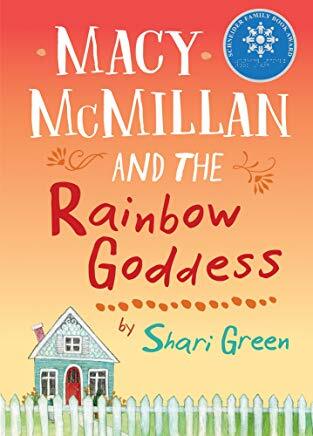 Amazon Summary: "Sixth grade is coming to an end, and so is life as Macy McMillan knows it. Already a "For Sale" sign mars the front lawn of her beloved house. Soon her mother will upend their perfect little family, adding a stepfather and six-year-old twin stepsisters. To add insult to injury, what is Macy's final sixth grade assignment? A genealogy project. Well, she'll put it off - just like those wedding centerpieces she's supposed to be making. Just when Macy's mother ought to be understanding, she sends Macy next door to help eighty-six-year-old Iris Gillan, who is also getting ready to move - in her case into an assisted living facility. Iris can't pack a single box on her own and, worse, she doesn't know sign language. How is Macy supposed to understand her? But Iris has stories to tell, and she isn't going to let Macy's deafness stop her. Soon, through notes and books and cookies, a bond grows between them. And this friendship, odd and unexpected, may be just what Macy needs to face the changes in her life." Amazon Summary: "When street magician Carter runs away, he never expects to find friends and magic in a sleepy New England town. But like any good trick, things change instantly as greedy B.B. Bosso and his crew of crooked carnies arrive to steal anything and everything they can get their sticky fingers on. (Psst. Hey, you! Yes, you! Congratulations on reading this far. As a reward, I'll let you in on a little secret... This book isn't just a book. It's a treasure trove of secrets and ciphers and codes and even tricks. Keep your eyes peeled and you'll discover more than just a story--you'll learn how to make your own magic!)" 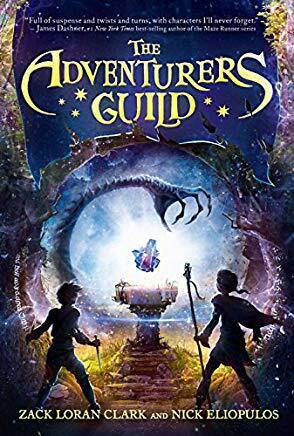 Amazon Summary: "Middle-earth for middle graders: From the Publisher ofThe Hobbit and Lord of the Rings comes a new young reader fantasy series that proves you don't have to be brave or powerful to do great things. Facing pursuit and treachery, the three collect allies in their search for refuge, until at last they are ready to fight back against the Gorm and attempt to rid the land of an evil scourge"
Amazon Summary: "Bold, opinionated, and haplessly self-confident, the world’s greatest fourth-grade detective faces her biggest challenge! When someone kidnaps beloved school mascot Eddie the Owl, Moxie is on the case―but she’s forced to fly solo now that her best friend (and crime-solving partner) has moved away.Moxie must interview her classmates―both as potential new best friends and as possible suspects. She finds clues and points fingers but can’t save the owl on her own. Enter Moxie’s little brother, Milton. Quiet, cautious, and boring as a butter knife, he’s a good listener.Can the Real McCoys form an unlikely alliance and solve the crime of the century?" Amazon Summary: "If middle school were a race, Joseph Friedman wouldn't even be in last place--he'd be on the sidelines. With an overactive mind and phobias of everything from hard-boiled eggs to gargoyles, he struggles to understand his classes, let alone his fellow classmates. So he spends most of his time avoiding school bully Charlie Kastner and hiding out in the Resource Room, a safe place for misfit kids like him. But then, on the first day of seventh grade, two important things happen. First, his Resource Room teacher encourages (i.e., practically forces) him to join the school track team, and second, he meets Heather, a crazy-fast runner who isn't going to be pushed around by Charlie Kastner or anybody else. With a new friend and a new team, Joseph finds himself off the sidelines and in the race (quite literally) for the first time. Is he a good runner? Well, no, he's terrible. But the funny thing about running is, once you're in the race, anything can happen." Amazon Summary: "Harper doesn’t trust her new home from the moment she steps inside, and the rumors are that the Raine family’s new house is haunted. Harper isn’t sure she believes those rumors, until her younger brother, Michael, starts acting strangely. ​The whole atmosphere gives Harper a sense of déjà vu, but she can’t remember why. She knows that the memories she’s blocking will help make sense of her brother’s behavior and the strange and threatening sensations she feels in this house, but will she be able to put the pieces together in time?" Amazon Summary: "​When movie director Larry Trimble travels to Berlin searching for his next big star--a dog!--he finds Etzel, a fierce, highly trained three-year-old German shepherd police dog. Larry sees past the snarls and growls and brings Etzel back to Hollywood, where he is renamed Strongheart. Along with screenwriter Jane Murfin, Larry grooms his protégé to be a star of the silver screen--and he succeeds, starting with Strongheart's first film, The Love Master, which is released in 1921. 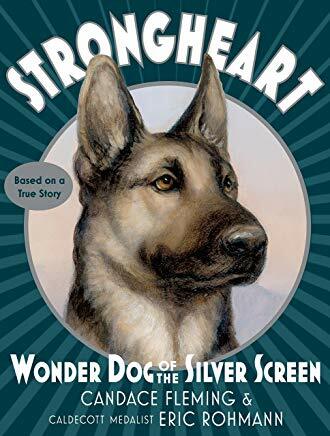 Strongheart is soon joined by a leading lady, a German shepherd named Lady Julie, and becomes a sensation." Amazon Summary: "Toby has to finish the final thing on The List. It's a list of brave, daring, totally awesome things that he and his best friend, Lucas, planned to do together, and the only item left is to hike the Appalachian Trail. But now Lucas isn't there to do it with him. 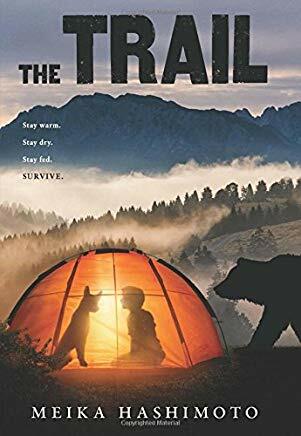 Toby's determined to hike the trail alone and fulfill their pact, which means dealing with the little things -- the blisters, the heat, the hunger -- and the big things -- the bears, the loneliness, and the memories. When a storm comes, Toby finds himself tangled up in someone else's mess: Two boys desperately need his help. But does Toby have any help to give?" 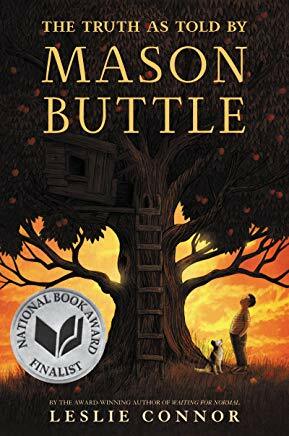 Amazon Summary: "Mason Buttle is the biggest, sweatiest kid in his grade, and everyone knows he can barely read or write. Mason’s learning disabilities are compounded by grief. Fifteen months ago, Mason’s best friend, Benny Kilmartin, turned up dead in the Buttle family’s orchard. An investigation drags on, and Mason, honest as the day is long, can’t understand why Lieutenant Baird won’t believe the story Mason has told about that day. ​But will anyone believe him?" 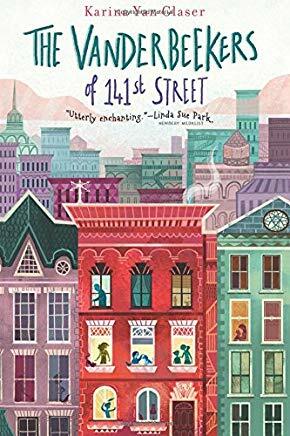 Amazon Summary: "The Vanderbeekers have always lived in the brownstone on 141st Street. It's practically another member of the family. So when their reclusive, curmudgeonly landlord decides not to renew their lease, the five siblings have eleven days to do whatever it takes to stay in their beloved home and convince the dreaded Beiderman just how wonderful they are. And all is fair in love and war when it comes to keeping their home. 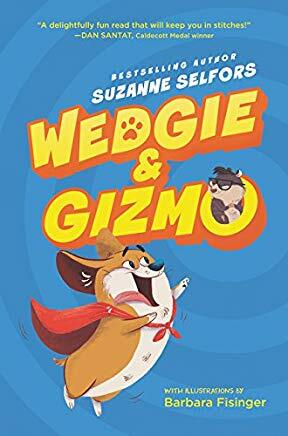 ​"
Amazon Summary: "​When a bouncy, barky dog and an evil genius guinea pig move into the same house, the laughs are nonstop! Wedgie is so excited, he can’t stop barking. He LOVES having new siblings and friends to protect. He LOVES guinea pigs like Gizmo! He also LOVES treats! But Gizmo does not want to share his loyal human servant with a rump-sniffing beast! He does not want to live in a pink Barbie Playhouse. Or to be kissed and hugged by the girl human. Gizmo is an evil genius. He wants to take over the world and make all humans feel his wrath. But first he must destroy his archenemy, Wedgie, once and for all!"